It was extensively brought to use by the ancient Chinese (called mo yao in China) and Egyptians. The Egyptians used it as a part of sun worshipping custom and for preserving mummies as well. The oil has also made its way in the making of cosmetics. While, the Greek soldiers used it to heal the wounds. ​ Menthol, which is present in abundance in peppermint oil, helps in clearing the respiratory tract. It is an effective expectorant and therefore provides instantaneous, though temporary, relief in numerous respiratory problems including nasal congestion, sinusitis, asthma, bronchitis, cold and cough. As a result, it is used in numerous cold rubs. When these cold rubs are rubbed on the chest, they remove nasal and respiratory congestion immediately.Many of our customers use them for medicated oils manufacturing. ​Indigestion: Peppermint oil is very helpful in digestion. 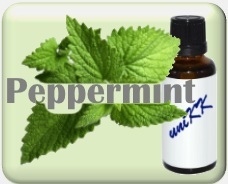 Dental Care: Peppermint oil, due to its antiseptic properties, is useful for dental care. It removes bad breath and helps teeth and gums deal with germs. ​Irritable Bowel Syndrome: The muscle relaxing property of peppermint oil has been found to ease irritable bowel syndrome. Pain Relief: Peppermint oil can be used externally for providing relief from pain. It is cooling in nature and therefore helps reduce fever. We can supply in 180 kg drums, 25 kg drums, 1L, or retail for 100 ml, 10 ml.